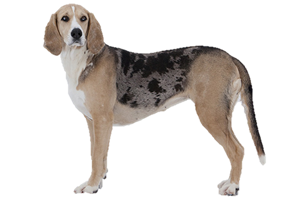 The Dunker is a scenthound that was developed primarily to hunt rabbit and hare. Unlike most scenthounds this breed can also be taught to retrieve. Although one of the most popular dogs in Norway it is rarely seen outside its homeland. This history of the Dunker begins in the 1920s when Wilhelm Dunker began crossing native Norwegian hounds with Russian Harlequin Hounds. At a later date some Hygenhund blood was added before the type was fully fixed. Is the Dunker Right for You?